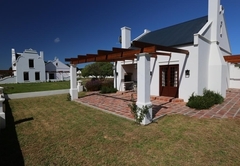 Doornbosch Guesthouse & Country Cottages is a 4 star graded guest house with self catering option, offering Elim accommodation for tourists and visitors of Cape Agulhas. 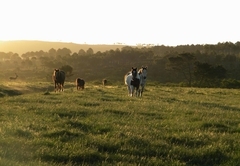 Doornbosch Guesthouse and Country Cottages are part of a 5000ha working farm, with horses, game, fynbos and honey cultivation. 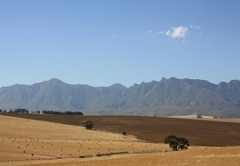 We are located in the heart of the rural Overberg, no more than two hours from Cape Town, close to the white beaches of Pearly Beach, and just a few kilometres away from the scenic mission village of Elim. 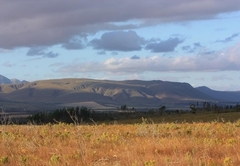 This rural part of the southernmost area of the Western Cape is a well-kept nature reserve. 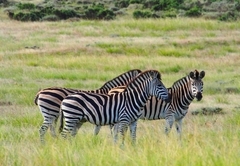 Life here is relaxed, quiet and unspoiled. 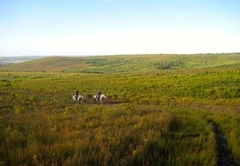 This is the place where 'getting away from it all' is really possible. 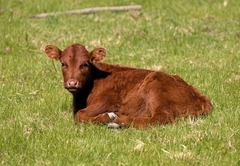 Our guesthouse offers country-life at its best. 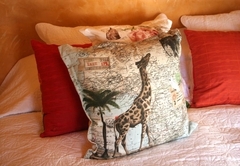 The house has three spacious and cosy guestrooms with en-suite bathrooms each sleeping two guests. 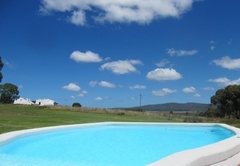 For all our guests we have a pool, a large living area with an open kitchen, a comfortable sitting area with open fireplace and a large veranda with stunning views. 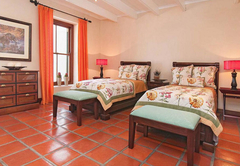 Warm colours, rich fabrics, handmade tile floors and comfortable furniture make each room unique. 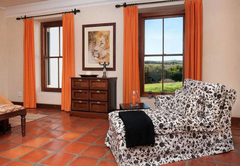 The rooms can be booked individually or together for maximum privacy. A lovely cosy cottage with two bedrooms (One bedroom has a double bed and the other two single beds) and en-suite bathrooms. A fully equipped kitchen, lounge with fireplace. Full DStv and WiFi. 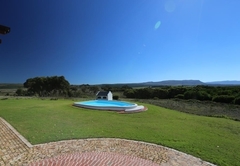 Patio with braai area and lovely garden. 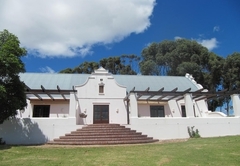 A two storey house with three bedrooms, two with queen size beds and en-suite bathrooms. Upstairs is another bedroom, with queen size bed, lounge and bathroom. A fully equipped kitchen,with gas stove, dishwasher and microwave. Big lounge and dining area. A four bedroom house, with a breathtaking view. It has four bedrooms all with queen size beds. Two bathrooms. 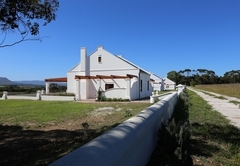 A fully equipped kitchen, with stove, oven, microwave and dishwasher. Lovely lounge with fireplace, DSTV, Wi-Fi. Patio and big garden. 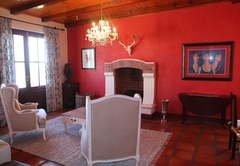 A lovely cosy cottage with two bedrooms and en-suite bathrooms. A fully equipped kitchen, lounge with fireplace. Full DStv and WiFi. Patio with braai area. Lovely garden. 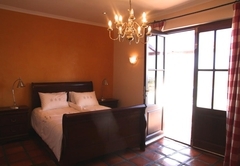 spacious guesthouse, with three bedrooms and en-suite bathrooms. A fully equipped kitchen, lounge with fireplace. Full DStv and WiFi. Big patio and pool in front. three bedroom house, with a breathtaking view. It has three bedrooms all with queen size beds. Two bathrooms. 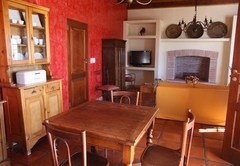 A fully equipped kitchen, with stove, oven, microwave and dishwasher. 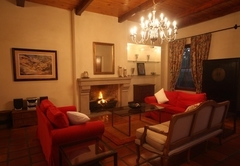 ; Lovely lounge with fireplace, DSTV, Wi-Fi. Patio and big garden. The large house in which we stayed was beautifully finished and appointed with fine furniture and appliances. It truly had a manor house feel to it.The staff were very obliging and efficient. Nothing was too much trouble for Heidi and her team. 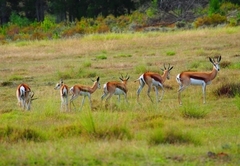 The farm is tranquil and we were treated daily to the buck crossing the farm in the morning and late afternoon. This location ist so beautiful and peaceful. 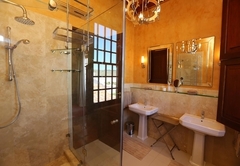 We stayed für 3 Nights in Protea Suite with freestanding bathtube. What can I say? 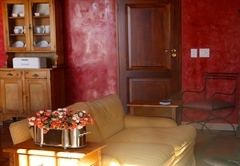 The rooms are clean and luxurios, breakfast is delicious (with organic honey from the farm). Sitting on the guesthouse's veranda overlooking the pool at sunset is a great harmonic experience. 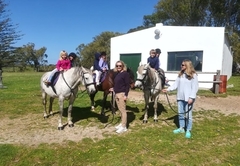 Its so amazing to relax at the pool or to ride with the farm horses guided by Heidi through the Fynbos and watch wild animals. One day we drove by car to Pearly Beach not far away from the guesthouse. 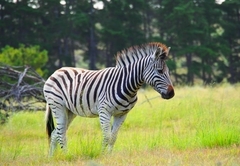 Also CapeTown is only 2 h away from Doornbosch Guesthouse. 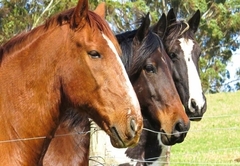 We look forward to come back as soon as possible! 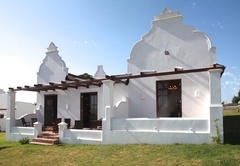 Response timeDoornbosch Guesthouse & Country Cottages typically responds to requests in 5-10 minutes.